My ex-wife and I during our marriage did have one thing that we mutually supported and participated in, and that was our daughters’ education. The only thing more important to us than letting children be children, is to get a good education. I grew up very close with a friend whose family was my role model for a successful education. Each night, the parents sat down with each of their kids, working with each child on their homework or studying for a test. While I may not have been the best “student” and study habits to match, I did what I could, and of course, got by. But my ex and I wanted our daughters to do better than just get by. For seven hours a day, we trust professional, non-family members with the safety and education of our children. For a majority of the school year, teachers spend more time with children than parents. And while parents are usually and often the role models, it is the teachers that mold the young minds. It is our job as parents to make sure that we support those efforts. 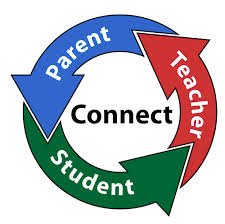 One way that we show that support is by attending parent/teacher conferences. We have never missed one conference for either daughter. This year would be different however, with me no longer living near the school district. The teachers and the school were happy to allow a telephone conference so that I might have the chance to hear the progress, and if any, struggles of either of my daughters. This would be the first time I would not get to meet their teachers face to face, but the experience would still prove to be the same. My daughters have had to experience a lot in their young lives. Being adopted so far has not been an emotional issue for them, but has the potential. Both have witnessed me in dire medical situations that twice left me near death, and two others just as serious. We lost our beloved dog Pollo a year ago, the death of their grandfather from smoking and lung cancer, and of course, the divorce of their parents and the process over the last year. But just as every other conference has gone, it made me so proud of my daughters to hear how well they have been doing in school this year so far. Each teacher described my daughters just as I hoped and really, knew I would hear. I have two pleasant, polite, hard working, and helpful little girls. One teacher commented on how my youngest daughter discussed in major detail, the summer that was spent with me. Both teachers basically assured me that both girls were doing quite well dealing with the current issue of my divorce. I have made it my only goal during this whole process, to protect my children from the negativity of divorce, and the evil interference of outsiders to our family. And according to two strangers to me, but guardians of my children during the school year, my children are continuing to progress, and adjusted, just as I had hoped. I love my daughters and there is not a thing anyone can say otherwise. I have never been more proud of them as I am today.